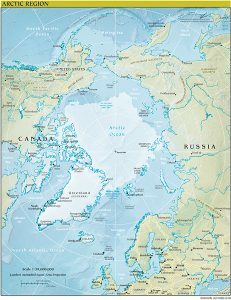 The Arctic is a unique bioregion that is in a state of flux, with rapid environmental, social and economic change. While Arctic nature supports human wellbeing in different ways and Arctic landscapes and iconic species are well-known around the world, this does not translate into policy. The competition for Arctic’s natural resources and use of land and sea is also taking place at a global scale. 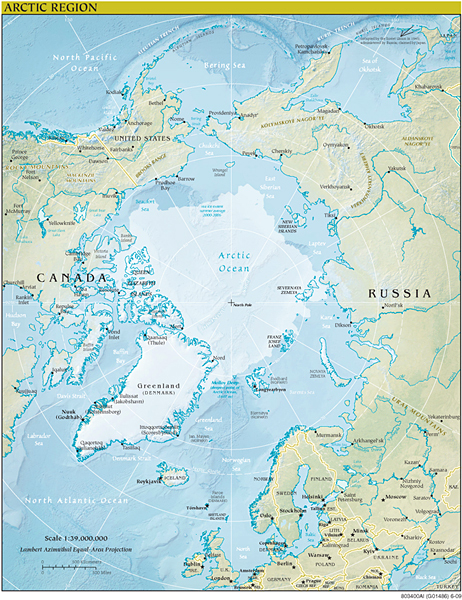 The Arctic is a crucial component of Goal 13 (Climate Action). The Arctic plays a key role in the regulation of global atmospheric temperature, and the Artic sea ice system and thawing Tundra represent two of the planet’s ‘tipping points’ — a threshold that, when breached, invokes irreversible non-linear changes. 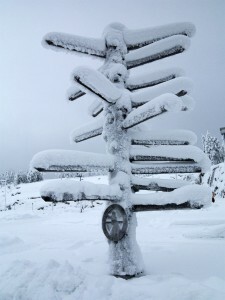 At the same time, the overall rate of Arctic warming is placed at two to three times the global average. The Arctic Council recognizes the importance of mainstreaming ecosystem services and biodiversity in decision making. This is evident in several initiatives such as the Arctic Resilience Report, the Arctic Biodiversity Assessment recommendations and the TEEB pre-scoping study that was approved at the Arctic Council Ministerial in 2016. 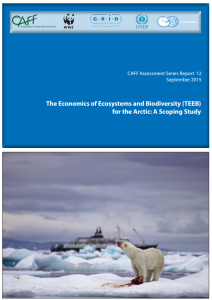 A TEEB for the Arctic Pre-Scoping Study was developed under the lead of the Arctic Council’s working group CAFF (Conservation of Arctic Flora and Fauna), providing the basis for a dialogue on policy context, governance aspects and challenges for evaluating ecosystem services within the Arctic context. The study explores at the possibilities of capturing the Arctic’s diverse values beyond today’s market mechanisms. This represents a first step for a full TEEB for the Arctic study. 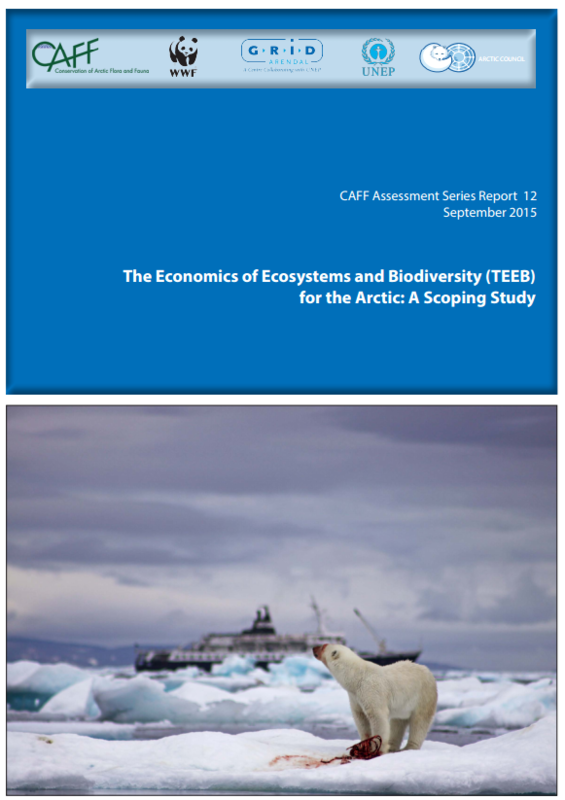 The study includes input from a variety of people and processes, input from existing studies on natural values in the Arctic, case studies, workshops, and an online survey.